Tommy Morris Hartman, 66, of Chesapeake, passed away Saturday, January 19, 2019. Born in Roanoke, Virginia, he was the son of the late Thomas and Isabell Hartman. He was also predeceased by his sister, Elizabeth "Libby" Keller. Tommy was a retired construction superintendent. 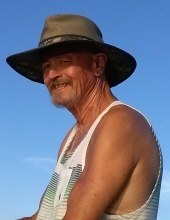 An outdoorsman, he will be remembered for his love of surfing, fishing and hunting. He was an avid pool shark! Survivors include his wife of 42 years, Pat Hartman; a daughter, Erin Lambrix (Mike); a son, Adam Hartman (Nicole); grandchildren, Ryan and Sean Lambrix, as well as beloved extended family. Tommy's life will be celebrated at 11:00 a.m., Saturday, January 26, 2019 at Oman Funeral Home & Crematory, Chesapeake. The family will receive friends following the service at the funeral home. The family would like to offer sincere gratitude to Dr. Valiant Tan, his P.A. Ami, the staff at Virginia Oncology, as well as family, friends and neighbors for many years of love, care and support. To send flowers or a remembrance gift to the family of Tommy Morris Hartman, please visit our Tribute Store. "Email Address" would like to share the life celebration of Tommy Morris Hartman. Click on the "link" to go to share a favorite memory or leave a condolence message for the family.